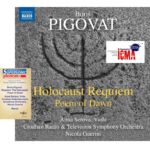 I composed Sonata for Viola and Piano in 2012 for violist Donald Maurice, after his great performance of the Holocaust Requeim at the Concert of Remembrance of 70th Anniversary of Kristallnacht in Wellington, New Zealand, in 2008. 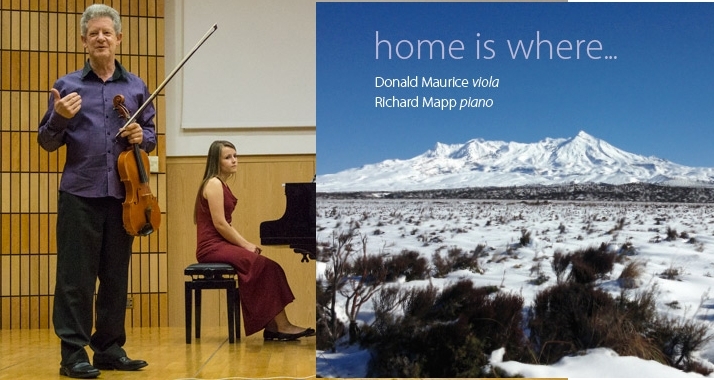 The piece was conceived for the Home is where… CD launched by Atoll (New Zealand), and starring Donald Maurice and Richard Mapp. Donald premiered this piece in 2013 at the International Viola Congress, in Krakow, Poland, with pianist Wioletta Fluda. The Atoll CD was released that same year. 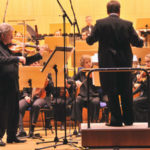 The American premiere was in Baltimore, featuring soloists Peter Minkler (viola) and Lura Johnson (piano). Eight days later, in Houston featuring Lawrence Wheeler (viola) and Tali Morgulis (piano). In March 2015, in Walden, Colorado, featuring Barbara Sudweeks (viola) and Jo Boatright (piano). The first movement of Sonata was influenced by the strong emotional impact of two paintings: Sandro Botticelli’s Madonna del Magnificat (1483-1485) and и Madonna della Melagrana (Virgin with a Pomegranate) (1487). While working on Sonata, I had an idea that it could also be performed as standalone piece; I named this piece Botticelli’s Magnificat. I shared my idea with Donald and received his support. Donald premiered Botticelli’s Magnificat before the premiere of Sonata. In 2013, this piece was performed by the young Israeli violist Matan Noussimovich (you can listen to the recording, below). Below are some samples from the Home is where… CD and recordings from the U.S. premiere, and of Botticelli’s Magnificat. 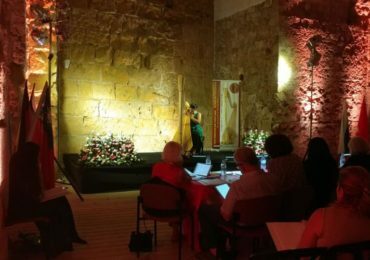 For several days I was a guest at the 20th International Harp Contest in Israel. It took place in the historic Knight’s Halls in the Old City of Akko, chosen by UNESCO as a World Heritage Site. My piece The Wandering Stars for Harp Solo was in the program of the first stage of the competition, together with works of Haydn, Smetana, Salzedo, and Permont. 29 musicians from several countries, including Finland, Italy, Russia, the United States, France, South Africa, China, Serbia, Switzerland, Taiwan, South Korea, Hong Kong, Germany, and Israel, participated in the contest, 21 of them choose to perform The Wandering Stars at the first stage. It was an incredible and wonderful experience – to listen to a lot of very different interpretations of this piece performed by such a talented musicians! 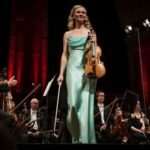 Here is another amazing performance of Poem of Dawn, Romantic Music for Viola and Symphony Orchestra, by Anna Serova, this time with conductor Hamish McKeich and the New Zealand Symphony Orchestra. 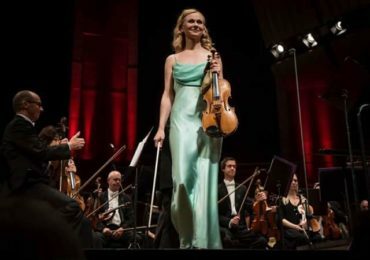 Composed in 2010, Poem of Dawn was performed by Anna Serova for the first time in 2013, with maestro Nicola Guerini and the Croatian Radio and Television Symphony Orchestra. In 2015, they recorded the piece for the Naxos Records CD, which won Pizzicato’s Supersonic Award. Dear Followers! I have been granted special approval to publish the video recording from this performance on my website. Please note that it is illegal to copy or re-distribute the video for commercial or any other usage. I hope you will enjoy listening to this beautiful performance. Thank you for understanding. 2 Fls, 2 Obs, 2 Cls, 2 Bsns, 4 Hns, 2 Tpts, 3 Tbns, Timp, Perc, Hp, solo Vla, Str.